I could not be happier to announce tht Jim Holmes will be our keynote speaker this year. Jim is a long time software veteran and community champion. We'll have more details soon, but you definiately won't want to miss this. Our room block at the Embassy Suites is now available. Please visit the Travel Page for more details. 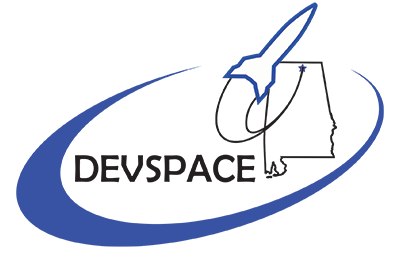 DevSpace is an annual developer’s conference that takes place in Huntsville, Alabama. Fueled by extensive space and missile research and a vibrant, emerging start-up culture, Huntsville is a market poised and ready to burst onto the national stage. Technological interests run the gamut of every language. As such, DevSpace aims to cater to this entire atmosphere. DevSpace wants to offer talks on a variety of languages, offering attendees the ability to improve their skills within their daily technology of choice and the ability to become familiar with new technologies. Combine this with talks on soft skills and processes, DevSpace will provide an outstanding value to the attendees. DevSpace operates on a Friday and Saturday. We think this schedule will encourage employers to send their employees to the conference. The schedule is based on the idea of “Give a day, take a day.” Employers are more likely to give their staff a day from work, knowing the employee with give a day of their own, doubling their return on investment. The call for sponsors is officially open. Go to the sponsors page for more information. We're beginning to look ahead to DevSpace 2018. I wanted to update everyone on a few things. We hope the increase in ticket prices will help us not lose thousands of dollars this year. We should have the ticket sales open soon. Visit the Sponsors page to learn how you can help DevSpace happen.